They love their city -- and its people. Through a monthly outreach called “Elsk Aalborg” (Love Aalborg), believers at Aalborg’s Valgmenighed church are demonstrating the love of Christ in very tangible ways. 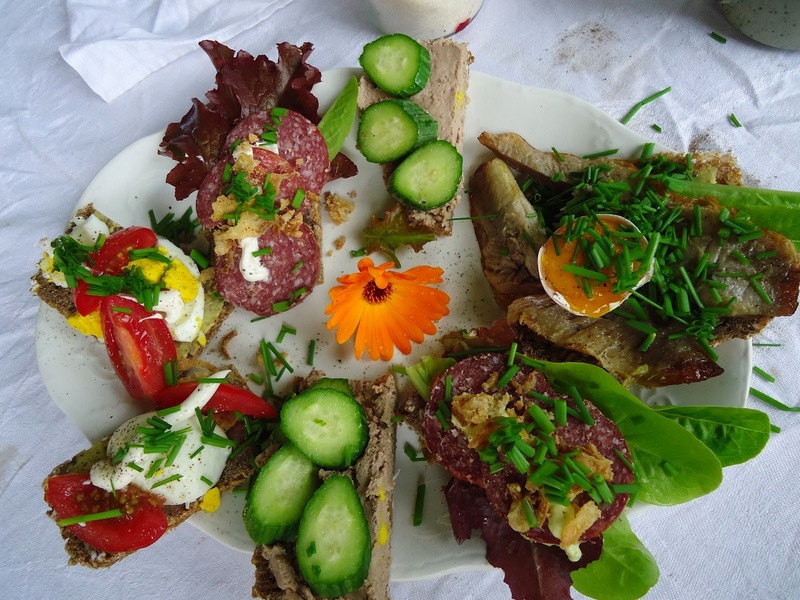 Like making hundreds of delicious (and lovely) Danish-style open-face sandwiches. Last month, families at this growing evangelical church became a sandwich factory, bringing together some of their best family and traditional recipes. Once done, they delivered heaping trays of their handiwork to people in need of a good meal at the city’s “varmestue” (“warm den”) centers. These church-sponsored storefronts offer food and a caring hand to anyone off the street. But this unusual fellowship isn’t stopping there. Their contemporary worship services fill a large commercial loft in downtown Aalborg every Sunday, and they’re still looking to grow. In fact, they have a vision for planting other “missional” fellowships -- new, vibrant churches designed to make disciples through focused outreach and faith lived out in community. As part of the financially independent “valgmenighed” branch of the state Lutheran church, they want to be a model for church growth throughout their region of northern Jylland. Pray especially for their energetic young pastor, Jesper Fodgaard. Among other things, he makes good use of social media, inviting members (and would-be members) to join them through creative weekly videos. 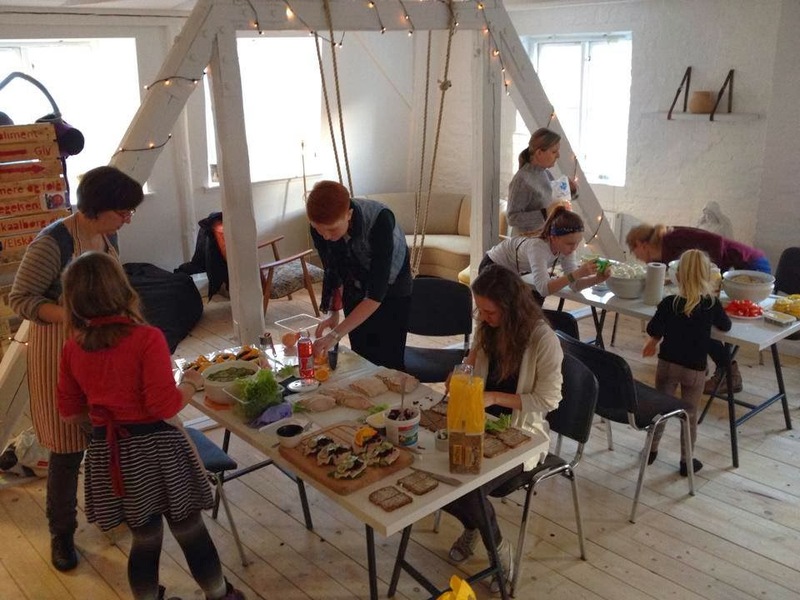 PRAY for the families of Aalborg Valgmenighed, that God would show them new ways to reach out in the name of Christ as they “Love Aalborg.” From sandwichmaking to… ? PRAY for Pastor Fodgaard and his family, for continued vision and God’s Spirit. 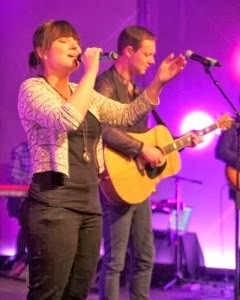 PRAY that this church would become a new model for growth and outreach throughout northern Jylland. THANK GOD that He is doing new things in Denmark. 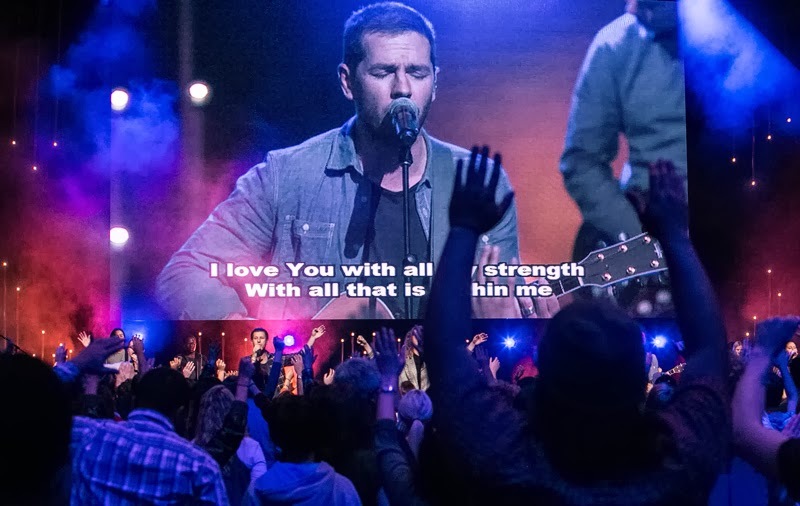 Members of the Australia-based Hillsong church recently celebrated their first year in Denmark with a special celebration of praise in central Copenhagen’s 650-seat Bremen Theater. In many ways, the gathering resembled other lively services throughout the Hillsong family of churches now scattered around the world, from London to Moscow, South Africa to Paris. On the front platform, a 10-piece band (volume cranked up) headed by well-known worship leader Reuben Morgan led a crowd of young worshippers in the words to “Your Love Has Set Us Free.” Colored light projectors illuminated the scene. And apparently the family is growing in this unusual (for Denmark) church. Certainly unusual for the numbers: They’ve already had to expand to three services each Sunday, and claim hundreds of first-time decisions for Christ -- people from a variety of backgrounds who have decided to follow Jesus. With services in English, the church attracts a mixture of both Danes and internationals. One Egyptian immigrant said she wasn’t sure she would encounter young people in Danish churches, but found plenty of them at Hillsong. Signe Frederiksen has been with the young church from the start, and has attended both the sending church and its associated Bible school in Australia. Over the past several months she has seen the fruit of her commitment. Given its origin and its language, Hillsong might not be considered a typically Danish church. But they’re organizing what they call “Connect Groups” all over the city, where all are invited to share a meal, get to know people, and talk about their faith. Wednesday nights are for “Basic,” where seekers can ask questions about Jesus, or just dig a little deeper. No matter their mother tongue, people here are becoming disciples of Christ. They’re being baptized. Isn’t that what the church is all about? PRAISE God for lives changed in Copenhagen through the Hillsong ministry. PRAY for continued growth, that people of all ages and nationalities would find new life in Denmark -- even where they might least expect it. PRAY that God would use this movement to touch other churches throughout the country, and that revival would begin here.